“The people of Israel broke faith in regard to the devoted things, for Achan … of the tribe of Judah, took some of the devoted things. And the anger of the Lord burned against the people of Israel” (v. 1). Yesterday we concluded our study with a look at holy war and Joshua and Israel’s dedication of everything in Jericho to the Lord through its destruction (Josh. 6:20–21). God’s actual command for Israel to commit this “ban” or cherem warfare when they entered Canaan dates back to the days of Moses when He revealed the Law to His people (Lev. 27:28–29). In fact, success in the conquest of the Promised Land was contingent upon the people’s faithfulness to this stipulation (Deut. 20:17–18). Today’s passage records the occasion on which Israel learned the severe consequences for not obeying this important command. Following the fall of Jericho, Joshua sent a force of around 3,000 men to attack the city of Ai, but the Israelite army was soundly defeated and thirty-six fighters were killed (Josh. 7:2–5). This prompted Joshua to cry out to the Lord in great anguish, for how could He have brought the people so far only to see them lose the battle at Ai (vv. 6–9)? What Joshua did not know but what we understood as soon as we read verse 1 is that there was a specific reason why the people failed to take the city of Ai just as they had conquered Jericho. Instead of leaving all of the devoted things of the city of Jericho for the Lord, Achan (of the kingly tribe of Judah no less) kept some of them for himself (v. 1). Once our Creator explained this to Joshua, everything began to make sense (vv. 10–12). This sin would have to be dealt with as an illustration of God’s holiness and Israel’s responsibility, and Joshua was ordered to tell the people why they had been judged at Ai and what they should do about it (vv. 13–15). This initial warning to the people should have made Achan come forward on his own and repent of his sin. Unfortunately, this is not what occurred. Instead, he waited for God to identify him before he confessed his sin (vv. 16–21). Lest we think the Lord unjust to destroy Achan and his household even after they “repented” (vv. 22–26), we should note how Achan’s failure to confess on his own and the failure of his family to do the same reveals a lack of true contrition. 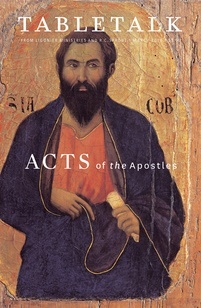 John Calvin comments that Achan gave no “sure indication of repentance; being, as it were, overcome with terror, he openly divulged what he would willingly have concealed.” God always forgives the penitent, but the absence of true repentance will ultimately bring condemnation. By our obedience to God’s commands we can by no means earn our place in His kingdom. Nevertheless, that does not mean that our faithfulness to His law is unimportant. As those converted by His Spirit through the preaching of His Word, we have been given a love for His stipulations, which are a guide for pleasing Him and finding success in His eyes. Do you know the commands of God well enough to be able to follow them?